Generating leads is crucial for success in this business and open houses can be just the ticket. Open houses are the perfect opportunity to expand your potential buyer pool. But if you’re not careful, you may come across as too pushy, and that can be a quick turnoff that sends buyers running for the door. Try these six tips from national real estate speaker and coach Rich Levin make open houses a more effective business tool. Never plan on calling people later. * Are they interested in the property? * What other properties may be of interest to them? What are they looking for? * Will they be willing to set up an appointment to talk further with you, or are they interested in viewing additional properties that may be a better fit? Note, there is an exception to the no-callback rule: When you have a crowded open house, you may not have enough time to talk with everyone. In this case, it may make sense to pick up the phone and ask if they needed any additional information. Welcome visitors at the door. * Greet people at the door. * Welcome and thank them for coming. * Hand them information on the property. * As they look at the information, talk about a special feature or two in the home that they may want to notice as they go through the property. * Ask for their name, phone number, and e-mail address, or have them fill out an open house register so you’ll have their contact information. If they decline to give you their contact information (and they don’t appear threatening), you should still let them view the property. You’ll find most visitors are willing to give you their contact information. * Explain that there is additional information about the listing on the dining room or kitchen table that may be of interest to them. The dining room or kitchen table can be a great spot to capture visitors’ attention with extra information about the listing. Place a variety of items here, such as property details, school information, and community brochures. Don’t forget to attach a bold label (in 24- to 48-point font) with your contact information on each type of information you provide. The goal is to get visitors to pause and look at these resources, encourage them to speak with you, and build your credibility as an important resource—not only about the listing, but about the community too. Approach visitors during the walk-through. After you’ve allowed visitors to wander through the house on their own, you’ll want to catch up to them and see if they have any questions and gauge what they like or dislike. Approach carefully; you don’t want to be a pest. This can be your prime chance to land them as a client. Get the house in showing-shape. * Send invitations to the neighborhood and to anyone in your sphere of influence who lives in the area. * Arrive early on open house day, turn on all the lights, open the curtains, and have soft, relaxing music playing in the background. * Display signs throughout the house that point to special features: “Look down, hardwood floors”; “Gas fireplace, push this button”; and “Walk-in closet, walk in.” These can help distinguish your listing as well as make it easier for you to engage visitors about certain qualities of the house. Choose your open houses carefully. Avoid holding an open house just because your seller wants it or another practitioner asks you to. Typically, open houses that garner the most traffic are newer listings, reasonably priced, and easy to access from main roads. When you invest the time and energy into conducting an open house, you’ll be able to turn them into much more than just a neighbor snoop-fest. 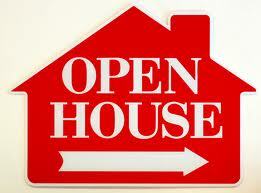 Open houses can serve as a dependable flow of leads for your other listings. And who knows, you may just find the perfect buyer for that listing.